SEO is one of the essential components of digital marketing. 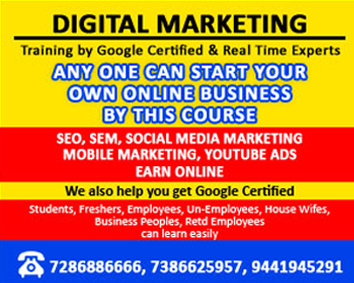 If you are just getting started with learning digital marketing, SEO might look like a very complicated concept. But in reality, SEO is very simple. There is a lot to learn in SEO, but let’s first understand the fundamentals of SEO. Think about why you use the search engines for in the first place. You enter “keywords” in a search engine looking for something. It could be for information (news & education), entertainment (movies & music) or transaction (buying products or services). In all the above cases, you are searching for something that you know that it exists. Search engines are just an evolved form of yellow pages. You look for products and services that you already know about. That’s why the traffic from search engines are always of higher quality. People are searching for something and already know what they want. If they land on a site to find what they were looking for, they are highly likely to convert. What does a Search Engine or Google Want? You want free traffic from Google. You want your articles to be ranked high in the search engines. That’s what you want. But Google is not in the business of sending free traffic to your websites. They are in the business of running a search engine and making revenue from the ads! The only way to get good search rankings for your web pages is to think about what Google wants and give it to them. If you help other people get what they want, there is a high chance that you will get what you want. A search engine like Google wants internet users to use their search engine frequently. And they can achieve that only be delivering quality and relevant results. (Who uses Yahoo or Bing anymore? We don’t use it because Google gives us better results). So that’s what Google wants. But Google needs your help in delivering high-quality results. Because Google doesn’t create all the content in the world by themselves. They need your help in creating content. You are the content producer. If you create good quality content, then Google can help you market it. It would be a win-win. Ideally, Google would want to review each and every page on the internet manually and rank them on the search engine result pages, for every keyword, based on the quality and relevancy. But the internet is too large, and there are hundreds of millions of pages. So they have built an algorithm that automates this process. The algorithm checks each page for quality and relevancy and then ranks it accordingly. The algorithm is the core of the search engine. It mimics human intelligence, and that’s their greatest asset. For Google’s algorithm to decide which pages are useful and which pages are not, they need signals. What signals? Quality and Relevancy signals! Who sends those signals? Your website users and you, the website owner (webmaster). 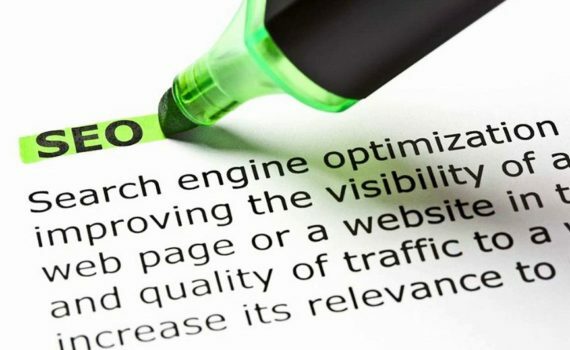 When you think about search engine results, there are two important factors involved in it. One is quality, and the other is relevancy. Quality: If you are searching for “top 10 laptops” and if there are 50 websites who have written articles about top laptops in the market, you would want the highest quality result to appear on the top. You might not want to read lower quality articles. Relevancy: If you are searching for “top 10 laptops” and if the search engine shows results for “top 10 mobile phones”, the result will not be useful for you even if the page about the top 10 mobile phones is of superb quality. It is not relevant to you and hence not useful to you. So the results have to be both of high quality and high relevancy. Otherwise, it will not be useful to the internet users. Quality signals are sent mostly by the web users based on their behavior, and we call it off-page SEO. Relevancy signals are mostly sent to Google by Webmasters, and we call it on-page SEO. Search engines track user behavior on a site to try to find out the quality and the relevance of the website and the pages inside it. There are many user signals recorded by the search engines, but the major ones are obvious. Off-page optimization is done by your users by communicating these signals to Google. These signals are predominantly signals of quality but have relevancy signals too. User signals are not under your control. Google also wants signals from webmasters (website owners) about the type of content that is available on our websites. These signals are predominantly relevancy signals than quality signals. Because every webmaster would claim that their content is of the best quality! Apart from sending relevancy signals, there are other things that webmasters can do to improve their website’s search friendliness. Here are some of the major ones. Once you have got these SEO basics right, you can master SEO. Tactics and strategies to achieve the above will keep changing over time. Any new SEO technique that comes up will fit into the above framework. All you need to do is check if it helps your users and the search engines and if it is a yes, you can go ahead with it. That’s the only long term SEO strategy that you can have. For example, the latest trend in SEO is AMP (accelerated mobile pages), but it is just another factor that helps with good user experience. Internet users would like to get the web pages fast and not wait for it. Many webmasters try to game the system by bending the rules. For example, webmasters may try to send false user signals of quality and relevancy. Such practices are termed as ‘black hat’ SEO. They may build backlinks themselves instead of earning links organically. They may boost fake social shares. With such practices, some webmasters may get results in the short-term, but in the end, if you have to win the SEO game forever, you have to make it a win-win-win situation for your users, the search engines and yourself.